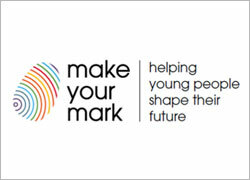 The program’s brand reflects the group’s and the company’s aim to help young people leave their fingerprints on the world – to make their mark. Make Your Mark inspires Jazz and its employees to make a significant positive impact on society by contributing in initiatives and projects under one common theme. The aim is to help the next generation find solutions to the challenges the future will bring – climate change and resource scarcity, rising population and the pressure this will bring on access to the fundamentals of society like health, education, employment and food. MYM aims to provide young people with basic education, technology tools, support and mentoring to help them tackle socio-economic, health and environmental challenges at an individual, community and national level. The overall objective of the program is to empower young people to make a positive difference through increased access to education and through inspiring social entrepreneurship, particularly in the digital arena. The Jazz Smart School Programme is a Sustainable initiative under the Jazz Foundation’s Make Your Mark programme in collaboration with Knowledge Platform (a Singapore based organization), the Federal Directorate of Education and the Capital Administration & Development Division. It is aligned with the United Nations Sustainable Development Goals 2030 and Pakistan’s Vision 2025 under the ‘Prime Minister’s Education Reform Programme’. The initiative has been designed to increase student learning outcomes and improve teaching methodology by a smart learning solution deployed through a digital blended learning platform across 75 female public-sector schools. 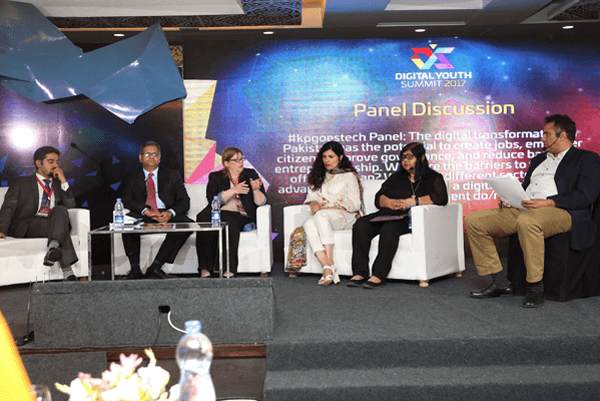 The 2018 Digital Youth Summit (DYS), being held in collaboration with Jazz, World Bank and Khyber Pakhtunkhwa Information Technology Board (KPITB), brings together the next generation of digital innovators in Khyber Pakhtunkhwa (KP). The Digital Youth Summit (DYS) powered by Jazz is a technology-focused conference that takes place annually in Peshawar, Pakistan. 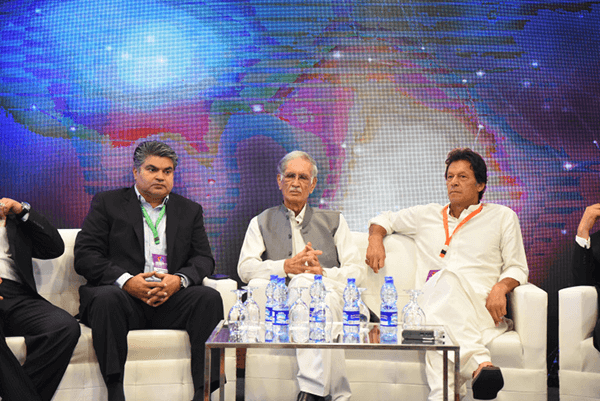 Since its inception in 2014, DYS has quickly become one of the premier tech conferences in Pakistan—differentiated by its focus on youth empowerment; its ability to attract high-profile domestic and international attendees and speakers and its unique venue: Peshawar, which is one of the oldest living cities in the world. The summit brings together “the next generation of digital innovators in Pakistan” and typically attracts three audiences: tech industry leaders from Pakistan and abroad, the nascent startup community; and young people looking to network, learn and be inspired. The summit therefore draws participants from the private sector, investors, government, civil society, youth groups and academia. In 2018 DYS, Jazz also organized a Digithon where young startups where given an opportunity to present their projects and polish their skills to take it to the next level. Around 08 projects were presented out of which top 03 were selected and given prizes as well. Jazz has partnered with LUMS Center for Entrepreneurship (LCE), an all-inclusive development incubator for budding entrepreneurs that formalizes the process of scouting, men toring and facilitating startup founders. Set up under umbrella of Lahore University of Management Science (LUMS) as an autonomous platform, LCE aims to build an entrepreneurial ecosystem that will bring together necessary resources & acumen required to maximize the growth potential of local entrepreneurs. Under the partnership 13 Start- Ups have been scouted from across the country and are currently incubated at the center. The selected prospective businesses will receive mentoring from industry experts, following which they will get an opportunity to secure funding and/ or commercial contracts at the Investor’s Day. Supporting education provision to enable young People to take control of their Future, Jazz has established 6 state-of-the art ICT Labs (10 computers each lab) at schools adopted b y NGOs. 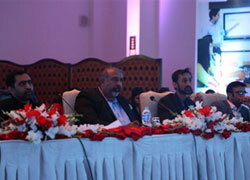 The project has been implemented with on ground assistance from Pakistan Centre for Philanthropy (PCP). PCP, as project partner, is responsible for the due diligence of the NGOs and will ensure that the recipients are serving marginalized social classes. 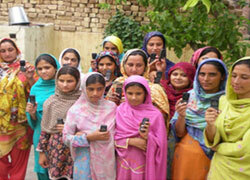 Jazz’s GSMA Award Winning mLiteracy program aims to educate rural women via mobile phones and deploys a hybrid of mLearning & class room environment. With the additional budgetary support of GuarantCo, the program in its 6th phase is reaching out to an additional 4,060 females. Under the program, Jazz will be Collaborating with Institute of Social and Policy Sciences (ISAPS), for se tting up of 160 adult literacy centers in 8 districts of KPK.